This conference will feature research on the topic of random processes and time series, both theory and applications. 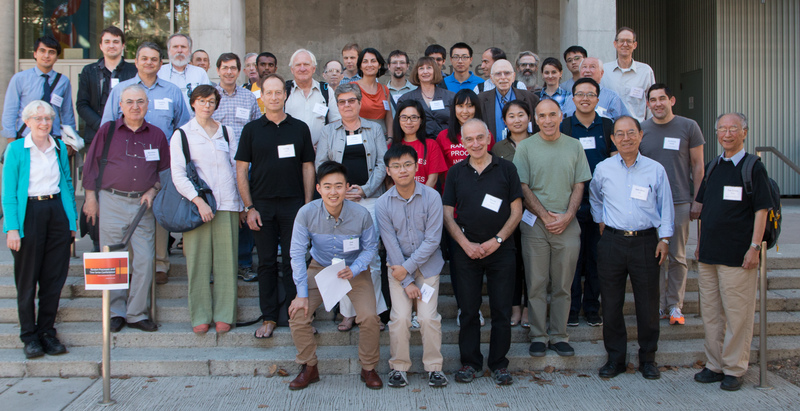 The conference celebrates the research of Professor Murray Rosenblatt. The conference will start on Friday afternoon, October 21, 2016 about 1.30pm., with talks and a poster session. There will be talks throughout Saturday, October 22, 2016 and on Sunday morning, October 23. The poster session will be late on Friday afternoon. A conference banquet will be held on Saturday evening. For further information about Professor Murray Rosenblatt, click here. 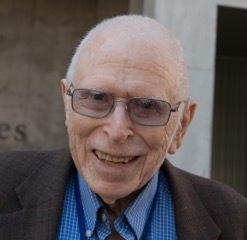 Robert Engle, New York University (and Emeritus Professor, UCSD). Friday, October 21, 2016, 5pm, Galbraith Hall, Room 242 (Galbraith Hall Auditorium). 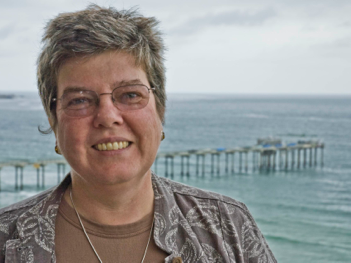 Catherine Constable, Scripps Institution of Oceanography, UC San Diego. Saturday, October 22, 2016, 1.45pm, York Hall 2722. For abstracts of these two lectures, click here. Galbraith Hall and York Hall are located off Revelle Plaza in the south-west part of the UCSD campus. The nearest parking lot is P103. For more information about parking and directions to Galbraith Hall (which contains the Biocircuits Institute), click here. York Hall is a couple of minutes walk to the north-east of Galbraith Hall. A campus map is here. Another searchable campus map, and parking map, are available here. To attend the lectures (one or both), registration is required. Registration is free and is open to researchers who have an interest in the topic of the lectures and are affiliated with Universities or industrial or government research institutions. This includes current postdocs and graduate students. To register to attend just these lectures (one or both), please click here. If you register for the conference (see below), you are automatically registered for the Murray and Adylin Rosenblatt lectures and do not need to separately register for the lectures. Anthony Gamst, UC San Diego. Magda Peligrad, University of Cincinnati. Dimitris Politis, UC San Diego. Wei Biao Wu, University of Chicago. For the schedule-at-a-glance, click here. 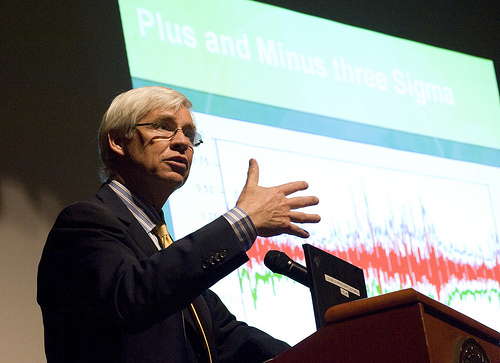 All of the conference talks, except those of Robert Engle and Catherine Constable, will be in the Natural Sciences Building Auditorium at UC San Diego. Checkin for the conference registration starts at 1pm on Friday October 21, 2016, in the Natural Sciences Building atrium. For directions on how to reach the Natural Sciences Building, click here. For titles and abstracts of talks, click here. Parking is free on campus on the weekends (except in spaces marked for 24 hour use, or otherwise restricted). A parking permit is needed to park during the week, or one can park at a meter or in some spaces with a visitor pay-and-display permit bought from a machine. The closest parking lots to the Natural Sciences Building with meters or visitor-pay-and-display machines are P103, P106, P208, P303. A map of the parking lots is available here. The Natural Sciences Building is at the intersection of Scholars Drive S and La Jolla Shores Drive, but there is only disabled person parking beside the building. The exact address is 2 Scholars Drive South. Those staying at nearby hotels are encouraged to walk to campus on Friday, if possible, or take a taxi or Uber/Lyft etc., as finding parking can be a difficult task during the middle of a weekday. The conference will include a poster session, late on Friday afternoon, October 21. To apply to present a poster, click here, and follow the instructions. The deadline for submission of posters is July 31, 2016. Applicants will be notified within two weeks of the deadline. However, potential poster presenters are encouraged to submit a poster application as soon as possible. Late poster applications may be accepted, depending on space availability. For those whose poster has been accepted, instructions on how to prepare your poster are available here. Applications for the poster session are now closed. The poster session is full. Poster presenters, titles and abstracts are available here. Although there is no registration fee, registration is required of all conference participants. Conference registration is open to researchers who have a research interest in the topic of random processes and time series and are affiliated with Universities or industrial or government research institutions. This includes current postdocs and Ph.D. students. To register for the conference, please complete the form here. The (optional) conference banquet will be held in the evening of Saturday, October 22, at the UC San Diego Faculty Club. The dinner has several main course choices, including a vegetarian option. The cost per person is $55. To register for the banquet, please complete this form. Rooms at discounted rates are available at two hotels for conference participants for the period October 20-23, 2016. To obtain the discounted rate, make sure to tell the reservations agent that you are with the "UCSD Rosenblatt Conference". Discounted rooms are available on a first-come-first-served basis. Residence Inn San Diego La Jolla, 8901 Gilman Drive, La Jolla, CA 92037. Phone: 1 (800) 331-3131 or (858) 587-1770. You can make reservations online using the link here or by phone at 1-800-331-3131. If making reservations by phone, please indicate that you are with the "UCSD Rosenblatt Conference Room Block" staying at the Residence Inn San Diego La Jolla, located at 8901 Gilman Drive, La Jolla, CA 92037-1625. Studio suites are $139 per night plus tax. The room rate includes free breakfast. The Residence Inn is within walking distance of the conference venue (about 15 minutes walk). The room block expires on Tuesday, September 20, 2016. Best Western Premier Hotel Del Mar (formerly called the Del Mar Inn), 720 Camino Del Mar, Del Mar, CA 92014. This hotel is about 7 miles from the UCSD campus. The hotel has a shuttle to/from UCSD during the week. There likely will be limited shuttle service available on the weekend too for conference participants. Participants may need to use other methods for reaching campus at some times, e.g., by car, city bus or taxi/Uber etc. There is a city bus stop very near the hotel and this bus runs very close to the conference site (5 mins walk). The room block expires on September 20, 2016. Although the deadline has passed, you may still be able to acquire a room by calling the hotel. Queen rooms are $119.99 plus tax, and king rooms are $139.99 plus tax, per night. To make a reservation, phone: 1-858-755-9765 or 1-800-451-4515 and indicate that you will be attending the "Rosenblatt conference" at UCSD. Participants are encouraged to make reservations as soon as their travel plans are set because San Diego is a popular travel location and hotel rooms are in high demand. Rooms may no longer be available once the room blocks are exhausted. Information about local child care resources is available by clicking here. The closest airport to UC San Diego is the San Diego International airport. It is a major airport serviced mainly by U.S. carriers. There are very few direct international flights to San Diego. If you are traveling from abroad, many U.S. carriers have connections to San Diego through cities on the East Coast, mid West or through Los Angeles International airport (LAX). It is also possible to fly to LAX and rent a car. It usually takes 2-3 hours to drive from LAX to UC San Diego, depending on traffic. From San Diego airport, one can catch a shared shuttle (about US$20-30 per person) or a taxi (about US$45-60 before tip) to UC San Diego or nearby hotels. For those participants traveling from abroad (and who are not U.S. citizens or permanent residents), information on U.S. visa requirements is available by clicking here. The members of the organizing committee for this conference are Professors Peter Ebenfelt, Lei Ni, Dimitris Politis, Jeff Remmel and Ruth Williams, with assistance from Professors Ian Abramson, Ery Arias-Castro, Jelena Bradic, Karen Messer and Ronghui Xu. Questions about the conference can be directed to williams at math dot ucsd dot edu. This conference is cosponsored by the UC San Diego Mathematics Department, the Office of the Dean of Physical Sciences at UC San Diego, the UC San Diego Economics Department and the Institute of Mathematical Statistics (IMS).